The LocationsAndDirections not only to provide you with the current position and direction of the most important thing she can to your current location information segments to a friend. 2.shows your current position a text message. 3. via SMS to your current location information sharing. 4.You see the map information can be shared via e-mail. 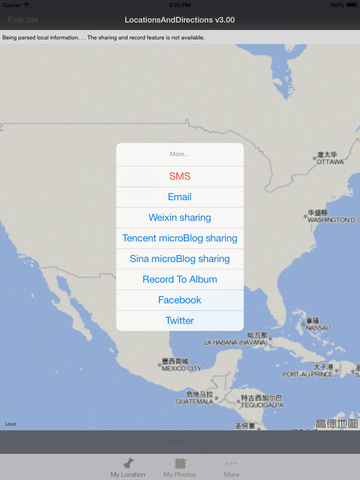 5. via microBlog to your current location information sharing. 6. via Weixin to your current location information sharing. 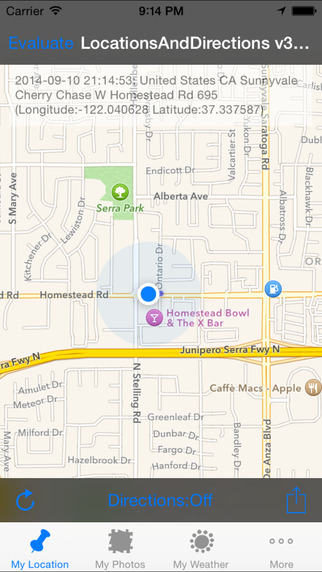 7.You can save your current location and direction information to the local album. 8.shows your direction, and the corresponding shown on the map.